Practice concentration of mind. In trying to concentrate your mind or even project a thought, you will find that you require naturally forming images in your mind. You cannot help it. Fix the mind on one object, on one idea. Withdraw the mind, again and again, when it runs away from the Target and fix it there. Do not allow the mind to create hundreds of thought-forms. Introspect and watch the mind carefully. Live alone. Avoid company. Do not mix. This is important. Do not allow the mind to dissipate its energy in vain on vain thoughts, vain worry, vain imagination and vain fear and forebodings. Make it hold on to one thought-form for half an hour by incessant practice. Make the mind to shape itself into one shape and try to keep the shape for hours together through constant and incessant practice. Concentration is holding the mind to one form or object steadily for a long time (Yoga Sutras, III-1). It is fixing the mind on an external object or an internal Chakra or one abstract idea (Yoga Sutras, III-1). A Raja Yogi concentrates on the Ajna Chakra, the space between the two eyebrows which is the seat of the mind in the waking state. You can easily control the mind if you can concentrate on this region. Meditation and concentration on the Ajna Chakra lead to control of mind very easily. Light is seen during concentration in this region very quickly, even in a day’s practice, by some persons. He who wants to meditate and he who wants to help the world should select this region for his concentration. You will get different Siddhis (spiritual powers) , different types of Bliss and you will get different kinds of knowledge by controlling and operating on different Chakras. If you have conquered the Muladhara (Base) Chakra, you have conquered the earth-plane already. If you have conquered the Manipura (Solar plexus) Chakra, you have already conquered fire. Fire will not burn you. Five kinds of concentration will help you to conquer the five elements. Learn them under a Guru who is a developed Yogi. If you get headache or pain by concentrating on the space between the two eyebrows by turning the eyes upward, give up the practice at once. Concentrate on the heart. If you find it difficult to concentrate on your heart or the space between the two eyebrows or top of the head, if you experience headache or pain in the skull, shift your center of concentration to any object outside the body. It is easy to concentrate the mind on external objects. The mind has a natural tendency to go outwards. You can concentrate on the blue sky, light of the sun, the all-pervading air or ether or sun, moon or stars. Train the mind in a variety of ways in concentration in the beginning. Concentrate on the Anahata sounds of the heart by closing the ears. Concentrate on the breath with Soham repetition. Concentrate on any concrete image. Concentrate on the blue sky. Concentrate on the all-pervading light of the sun. 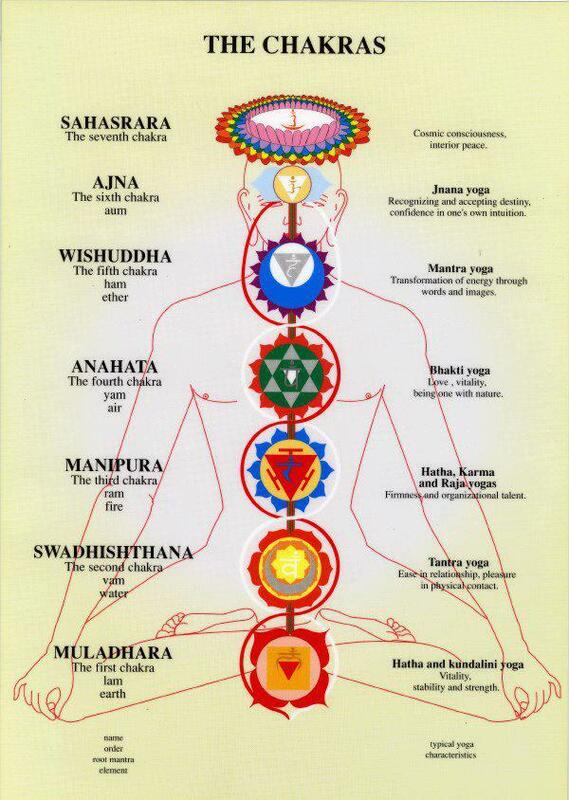 Concentrate on the various Chakras of the body. Concentrate on the abstract ideas of Satyam (Truth), Jnanam (Wisdom), Anantam (Infinity), Ekam (One), Nityam (Eternal Essence), etc. Lastly, stick to one thing only. This entry was posted in Health is Wealth, Mind, Spirituality and tagged articles, health, inspiration, personal, philosophy, spirituality, thoughts by Ganesh. Bookmark the permalink. Have you consider doing an up to 3 minute video or audio to support this post?